When we try to explain to someone in one sentence what ENVIENTA Platform is, then we say something like it is in the middle of a GitHub, Kickstarter, Amazon, LinkedIn square. With this we are still far from the point, but at least the other parties can compare it to something that they are familiar with. But then it brings up another question, that if the services mentioned already exist, why do we need another system? In this article, I would like to point out how ENVIENTA Platform is different and what the added values are that we expect from it. Those who have read our article about how the platform operates may know well that the projects available on the platform are stored in Git repositories. From this perspective, the platform is very similar to GitHub. At the moment GitHub is the greatest collection of open-source projects. You may ask with a good reason, why do we want to create an alternative to GitHub? 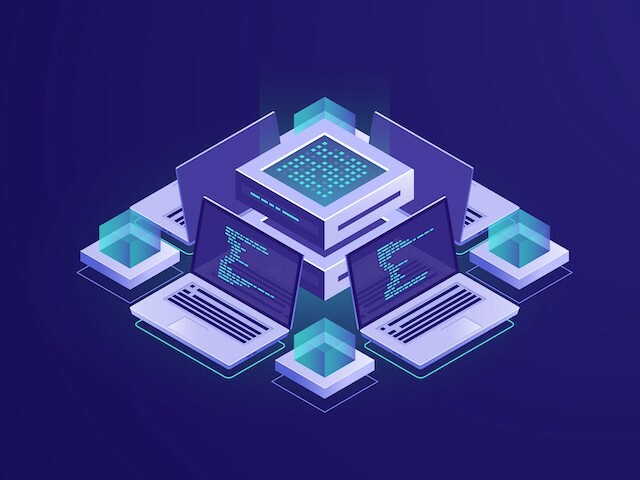 The basic idea of ENVIENTA is to provide free access to knowledge, so our vision is a system of Git repositories, which are completely decentralized contrarily to GitHub. There is no central server and it doesn’t have only one owner, because it is run and owned by the community, just like Bitcoin or Ethereum. Those who have read the article linked above know well that we would like to use blockchain technology to achieve this, and with its help, we would like to collect into one place all the Git repositories existing scattered around the world. Of course, being decentralized does not free knowledge in itself. We also have to provide the possibilities of easy access and contribution to this knowledge base for everyone. Basically GitHub was made for developers, a layperson can find it difficult to create and maintain content there. In the case of ENVIENTA Platform we strive to make it simple and user-friendly, so with basic computer skills anyone could launch projects or join other projects, similarly to WikiPedia. If someone does not have the required knowledge to prepare the blueprints, it will be enough only to describe the ideas or to upload videos. So it can be precious knowledge by itself, but if needed, with the contribution of other people the project can develop to an actual product. So the goal is to create a completely decentralized and user-friendly global knowledge base, which is owned by everyone. Actually this is the greatest social commitment of ENVIENTA, which we would like to realize in a completely non-profit way through the ENVIENTA foundation. As we have mentioned, creating this free knowledge is based on collaboration, just like in the case of WikiPedia. Anyone can create a project, which then anyone can contribute according to their skills. The platform would support the process by giving recommendations about who would be interested in which project and which project to join based on the data (profession, interests, involvement in other projects, etc.) provided by participants. This way we wish to catalyze the formation of communities around the projects. It is a bit similar to when LinkedIn recommends us jobs. That is why we refer to it when we talk about our platform. Although creating this free knowledge base is a great achievement in itself, the vision of ENVIENTA goes even further. We would like to help this knowledge to „materialize” into reality, which means assisting the accumulated knowledge to evolve into actual products, so they can make a positive impact on the world. Here comes crowdfunding into the picture, that is why we compare the platform to Kickstarter, too. But contrarily to the model of Kickstarter, we would like to provide the opportunity for investors to invest in the projects with the hope of gaining profit later. We think that raising capital this way we can reach a much broader circle of people and we can much easily facilitate the fundraising for the projects to get launched and to start manufacturing prototypes. The revenue of the projects come from the license fees paid after the sales. The investors will also have their shares from it, and this brings us to the next function, the marketplace. The model of ENVIENTA has often been compared to the model of Wordpress, where the free product (Wordpress CMS) is financially covered by web hosting and other premium services. So those who have the required skills can freely install the blog engine, while others can rent it from Wordpress.com by paying a small monthly fee. The model of ENVIENTA is similar. The blueprints can be downloaded from the decentralized knowledge base owned by the community, so anyone can start to assemble the products at home for themselves. But those who would rather buy the finished products could easily do so on the ENVIENTA marketplace. This is the already mentioned „license fee”. From this perspective, ENVIENTA is also a kind of international webshop for the users, similar to Amazon. We hope that this article has helped to understand why we compare our platform to the 4 services mentioned above and how the solution of ENVIENTA offers more than them.